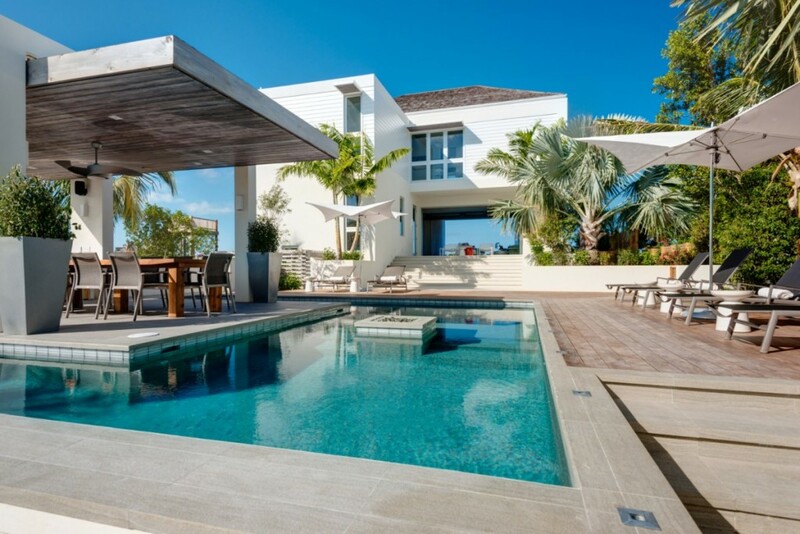 Located on what many describe as the most beautiful beach in the world, Grace Bay Beach, this five-bedroom property is an architectural gem that has clearly been designed to maximize its setting and the surrounding views. It gazes out over Smith Reef and provides up to ten guests with access and privileges in two of the area’s most impressive resorts (Grace Bay Club and West Bay Club). However, The Dunes villa on its own is worthy of a visit and includes such amenities as an incomparable pool area with an island, outdoor dining, fire pit and sun deck. The interiors are a good match to the exteriors with a great room and gourmet kitchen. The five bedrooms are all luxury retreats with king beds, ensuite baths, balconies and more. The Residence villas also sit along Grace Bay, and are part of a gated and private community. There are three new villas under the Residence name, and each offers five bedrooms, an enormous amount of living space and includes a small cottage housing one of the master suits. Described as micro resorts, the properties are stocked with a wealth of premium amenities. The villas each contain a library, private fitness center, infinity-edge pool, palapa, outdoor showers, daily breakfasts served in the villa and access to the Grace Bay Club’s resort amenities. Bedrooms are king or queen suites with private baths and luxurious settings. 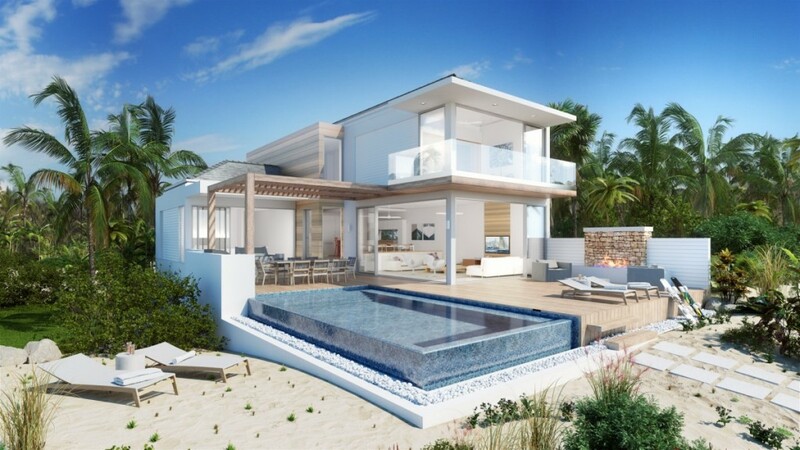 This collection of ultra-luxury villas are brand new and offer the privacy of a premium beachfront or hilltop villa in the Provo area, but come with the full services and high end amenities of a luxury resort. Ranging from four to seven bedrooms, these villas have private pools, multiple terraces, al fresco dining and lounging spaces, and concierge services. They also feature private chefs, onsite fitness and wellness classes, and access to the beach with full attendant services. Located on Long Bay Beach, the Villa Hyperion is a five-bedroom jewel designed with the most discerning vacationers in mind. Set within the Long Bay Beach Club’s resort property, visitors enjoy full use of the many premium amenities. Within the villa they have concierge services, daily breakfast service and transport options. This villa is a three-floor property with an amazing array of thoughtful features that give it an estate-like feel. Gardens surround the main level and this includes within the courtyard. There is also a home theater on this ground floor level in addition to some of the bedrooms. The middle floor opens to the beach and pool area. Here you enjoy an infinity-edge pool looking out to the scenery and can take just a few steps to reach the sugar sands. There is also an al fresco living room with fireplace. Inside is a glass filled great room with sunken living room. Above is the dining room and larger, gourmet kitchen which opens to a terrace. The top floor features two master suites. All of the bedrooms feature king beds, terraces or patio access, and luxurious bathrooms. 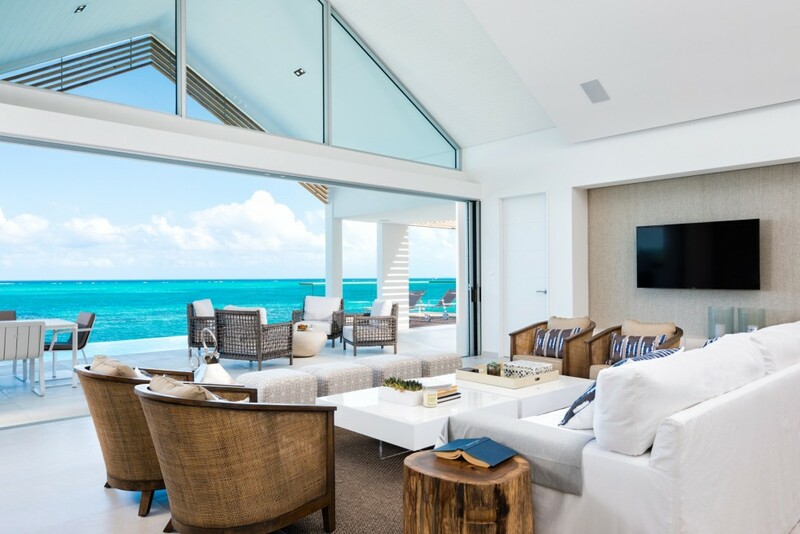 As you can see, these villas demonstrate only a sampling of the luxury that awaits those who pay a visit to Turks & Caicos. Learn more about Turks & Caicos villas.